Iranian director Piruz Mirzaii (C) holds the plaque of honor he received for "Simorgh" at the 20th India Theater Olympiad in Cuttack on October 16, 2012. Members of his troupe and some organizers of the festival are also seen in the photo. "Simorgh", a stage adaptation of Attar's "The Conference of the Birds", has been named best play at the 20th India Theater Olympiad. The play was awarded a plaque of honor, and the all-female cast and crew was presented with gifts at the closing ceremony of the festival in the city of Cuttack on October 16, director Piruz Mirzaii told the Tehran Times on Wednesday. The troupe includes Mona Arastu, Hoda Sediqi, Mojdeh Tahmasbi, Golnaz Abbaspur, Pardis Khosravi, Sima Bahadori, Pegah Niaii, Haleh Monfared, Kimia Ashtari, Banafsheh Andisheh, Parastu Hali, Sepideh Rezaii, Helia Erfanian and Negar Aqamiri. The troupe gave two performances, which were choreographed by Hayedeh Zekavat and Hedyeh Kishipur. Nima Khosravi as executive consultant and Mehrnush Gholami as provision manager accompanied the troupe. 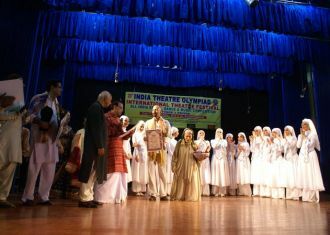 The performances were warmly welcomed by the Indian audiences, Mirzaii said. The troupe spent two years rehearsing for their Indian performances, he stated and added that they have not received any financial support from official Iranian governmental organizations for the performances. "The members of the troupe participated in the festival at their own expense," he noted. "Simorgh" presents the importance of unity among people of the world to reach global peace, Mirzaii said. Theater troupes from Poland, Croatia, Spain, Italy, Bulgaria and Armenia, Bangladesh, Canada, Egypt, Nepal and South Africa also participated in the festival. 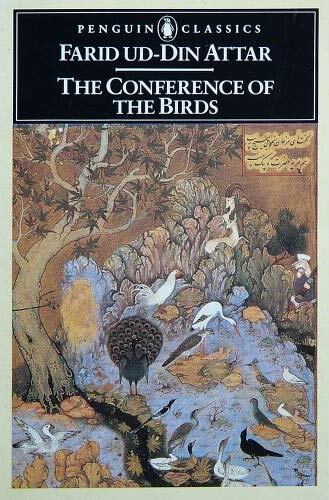 Attar's most famous work "The Conference of the Birds" is an allegorical poem describing the quest of the birds, which symbolically represent Sufis, for the mythical Simorgh, or Phoenix. At the end of the story, the thirty birds that have survived the journey realize that they and the Simorgh are one, a clever play on the words Simorgh -- a mystical bird in Iranian mythology -- and "si morgh" -- meaning "thirty birds" in Persian.